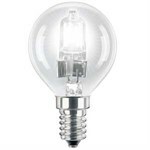 Keep your dimmer switches, keep the warm, cosy glow of a REAL light bulb - and still make energy savings of up to 30% - with Halogen Energy Savers. 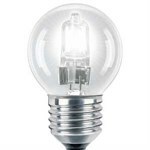 The basic technology is exactly the same as a normal halogen bulb, but they use special infra-red technology to reflect heat back onto the filament, thus making it burn brighter. 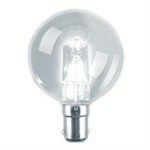 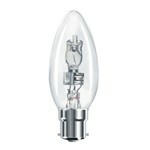 Instant light as well as identical sized bulbs make these an ideal replacement where you don't have to compromise.